"Quantum Chaos: A New Paradigm of Nonlinear Dynamics"
(Cambridge University Press, Cambridge, 1993) 220 total pages. "Quantum Versus Chaos: Questions Emerging from Mesoscopic Cosmos"
(Kluwer Academic/Springer, Dordrecht, 1997) 224 total pages. K. Nakamura and T. Harayama, "Quantum Chaos and Quantum Dots"
(Oxford University Press, Oxford, 2004) 212 total pages. Finished the post-graduate course at Department of Physics, University of Tokyo, receiving the degree of Doctor of Science in 1975. 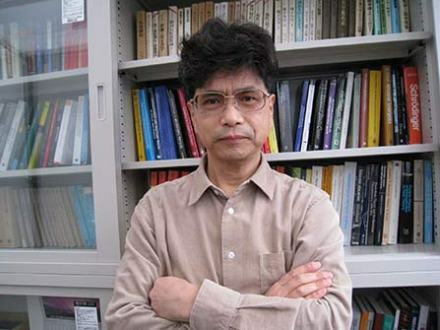 1992-2008 Professor of Applied Physics at Osaka City University. Since 2008 Emeritus Professor of Applied Physics at Osaka City University. 10) JSPS Japan-Slovenia Seminar on “Nonlinear Science” (Osaka, November 2007) (http://wwwfs.acs.i.kyoto-u.ac.jp/JPSI9/index.html).